Olumurewa Ogunkoya is a fashion designer and an architect who has a unique eye for menswear (as you can see from the images above). He is also a good friend of mine so it was good catching up with him. Tayo Rockson: I'm happy to be doing this interview with you. Can you tell us about yourself and how you got to where you are today? Olumurewa Ogunkoya: Well I'll start with a basic introduction. My name is Olumurewa Ogunkoya, CEO of NuovoVintage Clothing. I'm a fashion designer for men's modern-vintage suits. I'm all about looking sharp and full of class at every possible moment. I'm also an Architect, professionally, so I could say the two trades compliment each other, and positively too. TR: Now we went to high school together and I remember you always paying attention to the details of your clothes. When exactly did you decide that you wanted to make a career out of fashion? OO: Well after high school, during my university days, my eye for colour mixing and details grew sharper. I guess I could say I came to a conclusion to do it professionally towards the end of university education. I've never really been the business kinda guy, sincerely, but I've always had the knack for changing details whenever I purchase clothing from other stores. I'd have to say fear was my major drawback from starting my own business. Although after months of consideration, I made up my mind and went straight for it, whether or not it'd come out successful. And through God's grace, I'm here today with my own fashion line, and my own business enterprise. TR: Great story! I have been hearing that a lot lately actually. The idea that you should just go for your dreams and you clearly did that with your business and brand. Kudos to you! OO: Thanks! I appreciate it. TR: Who would you say is your biggest inspiration and why? OO: A big inspiration for me is Tom Ford. 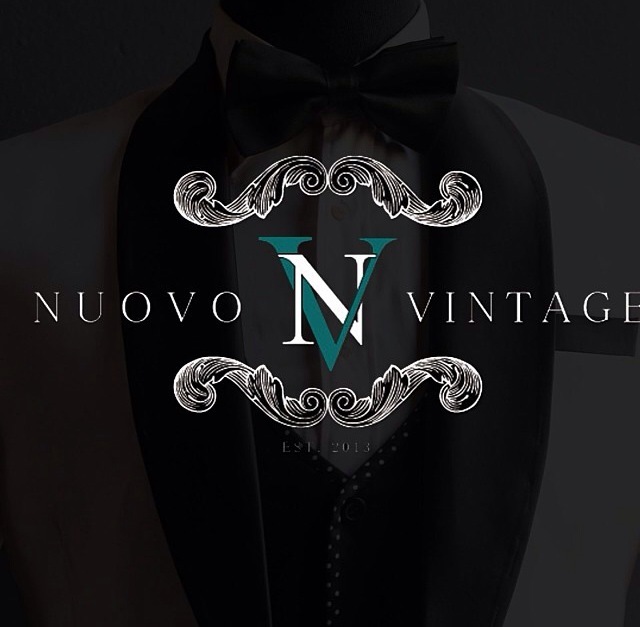 Class is the main drive behind Nuovo Vintage, and Tom Ford depicts the kind of class that is expected of men's suits and clothing in general. TR: Good choice. I am not sure that I can count up to five people who wear a suit better than he does. 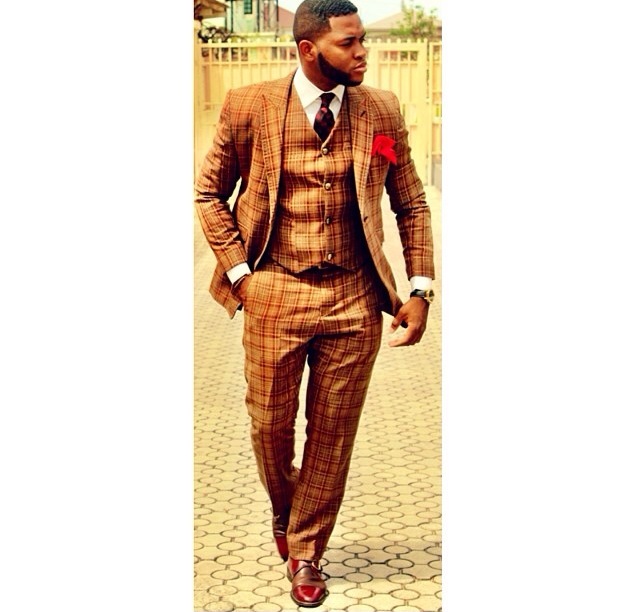 OO: O yea he is impeccable with his suits! TR: Exactly! Bringing it back to the business side of things, what have you found to be essential skills crucial to know as an entrepreneur? OO: Well first, I'd say PEOPLE skills. Being able to relate, in all aspects,to potential clients, and even existing clients, is one of the most valuable skills in the world of entrepreneurship. Also knowing the right market targets, as well as allowing consumer needs to be the drive behind your products, and your production in general, are in turn very crucial. TR: Now as you mentioned earlier, another part of you is architecture, what do you want to do with that? OO: I'm still going to practise as an architect. It's my profession and I love it. It hasn't never been interrupted by my fashion designing, and vice versa. TR: OK. What is next for you? OO: I have plans on pursuing a programme to further my architecture profession, so that's the immediate next step for me. TR: What advice do you have for other fellow young entrepreneurs out there? OO: All I'd love to say to you all is face those business fears head on no matter what trade, and embrace failure as cheat code for success! TR: Before I let you go, where can people find you and contact you if they want to get some of your designs? OO: I'm currently in Lagos, Nigeria now, and I can be reached my email on nuovo_vintage@yahoo.com and you can check out my designs at www.nuovovintageclothing.com. As you can see, sometimes it pays off to just go after our dreams. A lot of times we are tentative about doing this because we may feel incapable. I certainly am guilty of this but what we all have to realize is that by actually "doing" something we are growing, learning, and building invaluable experiences. Experiences that will prove beneficial to your success so go be Nike. Just Do It!